Just day’s before Amelia dumped the carpetbag containing Doris Marmon and Harry Simmons’ bodies into the Thames a bargeman had fished a package out of the river near this spot. It contained the body of an infant girl, Helena Fry. The small Reading police force discovered a faint legible address and the name “Mrs. Thomas” on the brown parcel paper that the baby was wrapped within. This address was a former residence of Amelia Dyers. The police then put Amelia under surveillance but they worried she would just disappear so they arranged a meeting with her with a decoy—a young mother looking for adoptive services. On April 3, 1896 the police arrived at her home while Amelia waited for this decoy. They smelled the decay of death but found no bodies. They did find many distraught letters from mothers inquiring about their children, mounds of baby clothes and many more pawn receipts. They also found telegrams describing adoption arrangements and newspaper ads. Amelia was arrested on April 4th for the murders of Doris Marmon and Harry Simmons. The River Thames was searched and 2 more bodies were found. Each child had been strangled with seamstress white tape. Eleven days after Eveline Marmon watched tearfully as Amelia boarded a train with her daughter the police called her in to identify a small body. On May 22nd, Amelia pleaded guilty to the murder of Doris Marmon. She used an insanity defense –offering her stays in mental institutions as proof-- but since the prosecution argued these stays coincided with her efforts to avoid the authorities and that they were short-lived, her defense was not believed. 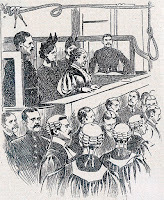 The jury took 4 and half minutes at the Old Bailey to find Amelia Dyer guilty. On June 10, 1896 she was hanged at Newgate Prison. When asked if she had anything to say she said nothing. Her loathsome actions along with other baby farm killers of the time that were hanged-- Margaret Waters, Annie Walters and Amelia Sach to name a few-- did eventually led to welfare and other social reforms being instated. 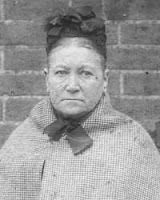 Despite the fact that Amelia Dyer is Britain's most prolific serial killer her crimes were mostly forgotten until recent years when her records where placed online by the National Archives. It is estimated that Amelia over her 30 year career as a baby farmer was responsible for the deaths of over 400 infants. 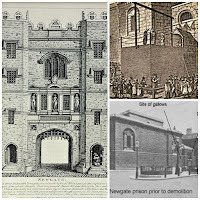 Often prisons are haunted and Newgate which once stood just inside London is no exception to this rule. This structure built by the Romans was torn down in 1910 to make room for the Central Criminal Courts. On the side of the wall were Newgate once was is a narrow pathway that still exists today. 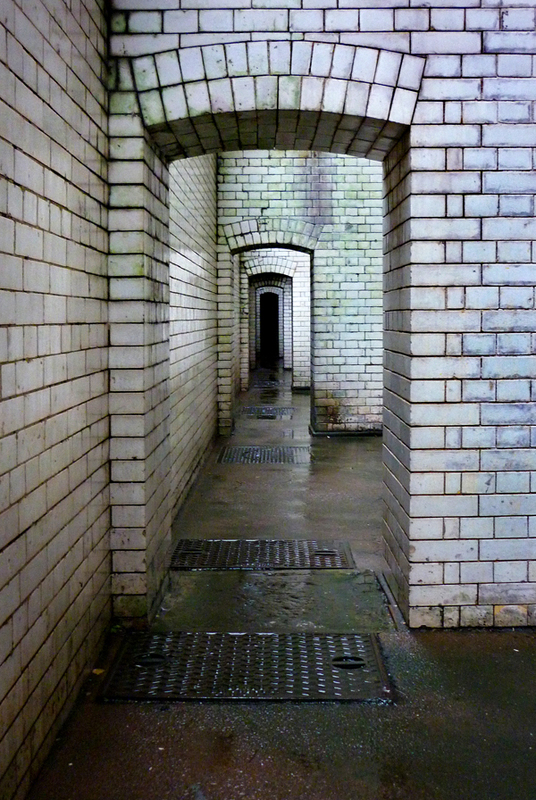 It originally led from the prison to the quicklime pits where executed prisoners were buried. 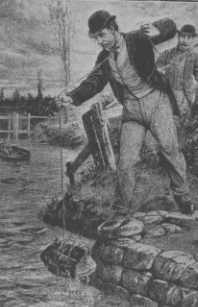 A young warden, a Mr. Scott, at the time Amelia Dyer was hanged—later became Newgate’s chief warden. He often told one grim tale of the prison being haunted. Amelia Dyer after her arrest. Not long before Newgate was closed down, several wardens including Mr. Scott, where gathered together, with a bottle of whiskey, to celebrate the end of their employment at the prison. The room they stood within was next to the Women’s Felon Yard. A door, with a window in it looked out over this yard. He looked out the door’s window and saw the unmistakable face of Amelia Dyer. She looked at Scott for a moment and then left. 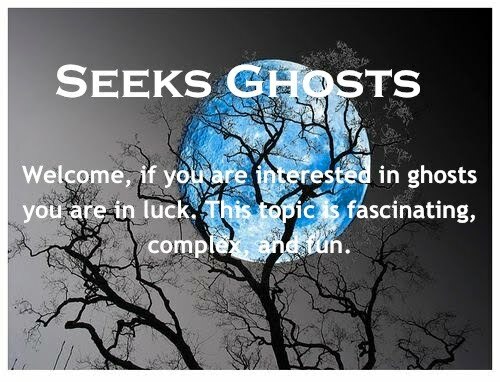 Scott rushed to the door and opened it but nothing was there except for a woman’s handkerchief that floated to the ground and landed at his feet. 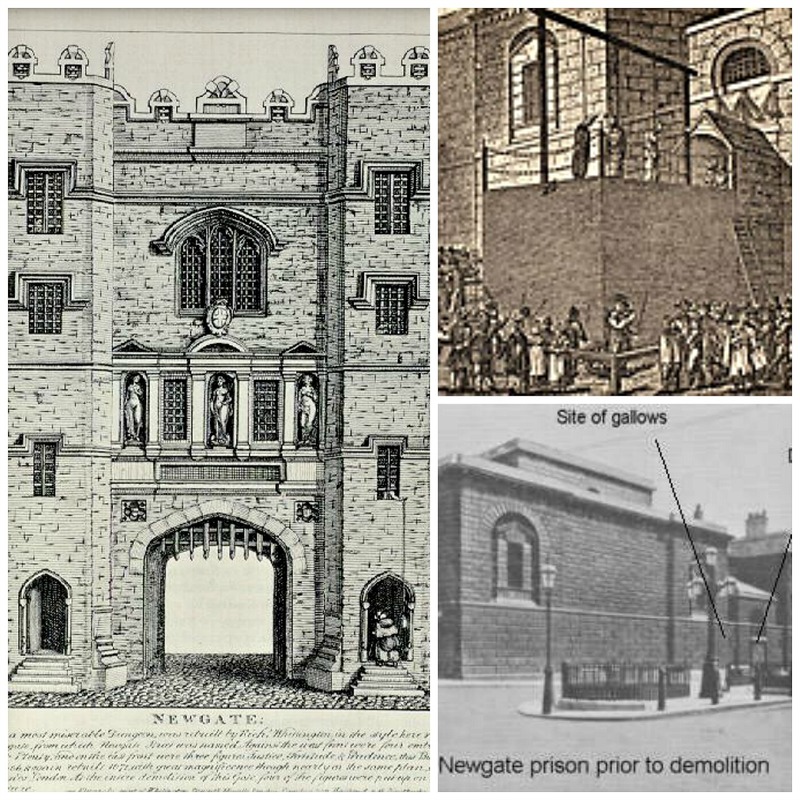 There were no female prisoners in Newgate at this time—there had not been any for several years. 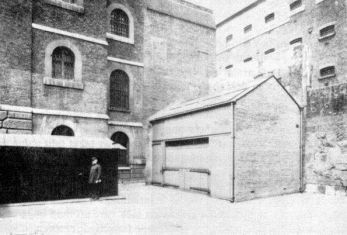 One photograph that was taken of Mr. Scott outside the prison’s execution shed has the distinct image of Amelia’s face peering over his shoulder. Some witnesses claim to have seen Amelia's ghost in Dead Man's Walk recently. Several ghosts have been spotted along this pathway. 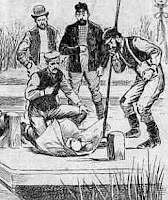 In Part l of Amelia Dyer:Britain’s Baby Butcher illegitimate babies are left out in the cold and baby farming begins.